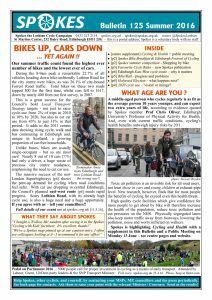 Spokes Bulletin 125 is hitting the doorsteps of all Spokes members, 1200 decision-makers across Scotland [including all 129 Scottish MSPs and all 132 Edinburgh+Lothians councillors, transport consultants, health officials, etc, etc] with copies for a further 10,000 other cyclists and interested individuals through bike shops, libraries etc throughout Edinburgh, Lothians and beyond. 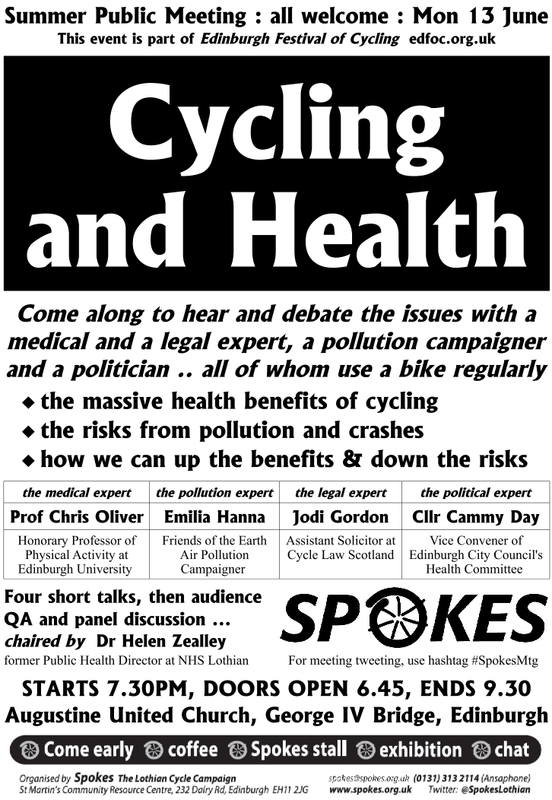 Everyone joining Spokes in the next few weeks will be sent these inserts along with the new Bulletin [until they run out]. Having more members helps us – and we hope to help you in return by keeping you in touch with what’s happening and what you can do about it! You’ll get a roughly-monthly email in addition to the thrice-yearly Bulletin.